It's been eight months since the Pixel Launcher was unveiled alongside the Pixel phones, but it's still exclusive to Google's latest and greatest. Sure, you can download it from sites like our very own APK Mirror and it'll work for the most part, but you still miss out on a lot of the Pixel-exclusive niceties, namely the Google Now pane. However, a developer by the name of AmirZ has come along and made something pretty sweet: a modified Pixel Launcher APK with all of the cool little extras that the Pixel comes with. 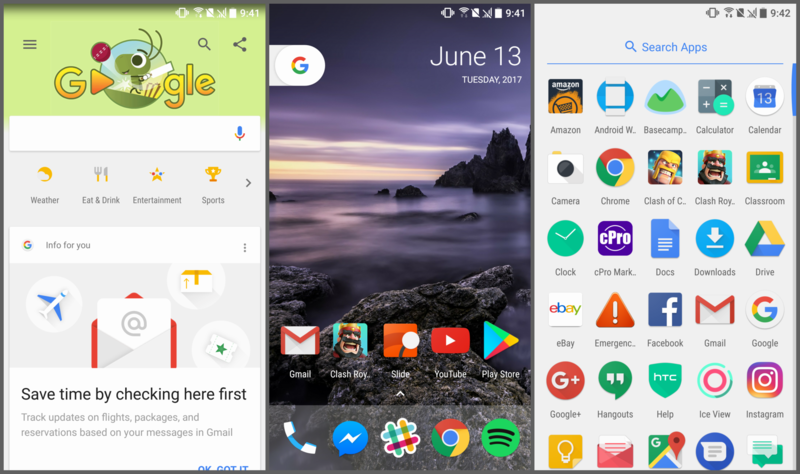 AmirZ shared his "rootless Pixel Launcher port" story with r/Android. When he found out that Google had intentionally disabled the little things that make the Pixel Launcher so great for non-Pixel devices, he set out on a quest to rectify the situation. He ended up decompiling the Pixel Launcher APK and imported the code into Launcher3 (the AOSP launcher). With the help of another developer called DeleteScape, he was able to create this masterpiece. Installing the APK is pretty painless. Just make sure that you have the Pixel Launcher uninstalled, as this does use the same package name (you can't use the nifty weather widget otherwise). The only real caveat to using this is that you'll have to trust someone to port every Pixel Launcher update, but given that the software is open-source, that shouldn't be an issue. Check the source link below to see AmirZ's GitHub project, which includes a download link.